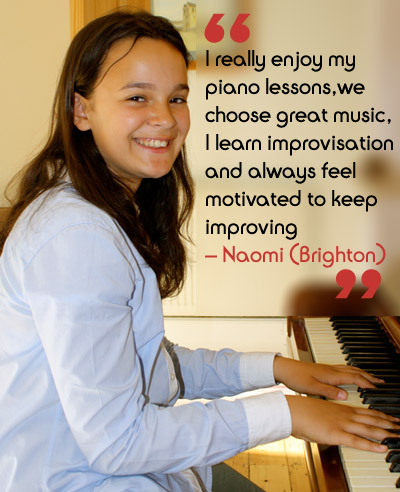 Our piano teachers are experienced at teaching beginners to advanced learners in a broad range of musical styles. Many people aren’t sure what they hope to gain from lessons when they first start, they just know they want to learn which is great! As students progress they often start to form ideas about what they want to learn or have a clearer idea about the direction and style they are most interested in – we have teachers who specialise in all areas of music including: classical, pop, jazz, song writing, improvisation and theory, and endeavour to match students with a teacher best suited to help them achieve their goals. This course is suited to beginners of all ages, tutors take care to select music and activities that creative, engaging and age appropriate. Typically the introductory course is about 10 weeks long, however teachers work at a pace that matches their students’ needs meaning the course is completed when the student is ready rather than following a strict schedule. An extended selection of technical exercises including scales and arpeggios in various musical styles – all of which will help independence between the fingers and hands, increase dexterity and strengthen performance. A broad range of music – depending on students musical interests and tastes. Sight-reading: developing rhythmic and melodic reading skills through regular exercises. Aural listening activities: developing your ability to pick out a tune, identify chords, intervals and rhythmic patterns. Increased focus on articulation including: legato, stacatto, accents, sostenuto and sforzando. Musical interpretation: learning about and exploring dynamics, tempo and style. Theory: gradually introduced as you progress, you will learn about key signatures, time signatures, modulation, chords and much more that will help you progress. These lessons are for the more experienced players who are working at a standard equivalent to grades 6-8. At this stage many pupils decide to have a 40 or 60 minute lesson which provides sufficient time to learn more the more challenging and detailed music. 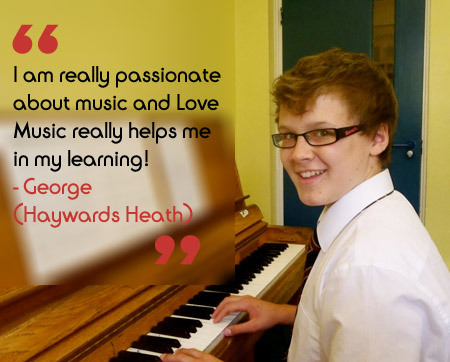 Advanced lessons vary according to students aims, we offer classical, jazz and contemporary lessons all of which are delivered by an expert in their field. 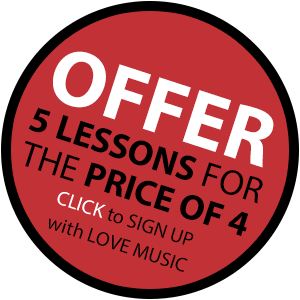 If you are new to Love Music School and would like advice about the right teacher for you give us a call and we can talk through the options with no obligation.